Cycling is a great way to get the cardiovascular exercise that you need every day, or even if you only do it a few days a week. Not only is cycling fun, but it can help to keep you healthy, keeps you fit, strengthens muscles and teaches endurance. With all the benefits of cycling, there really is no reason not to choose this sport as a way to lose weight, or just for fun. When choosing to cycle on the road, there are safety tips that you need to take, in order to ensure your safety, as well as the safety of others on the road. One of the first rules for cycling safety is never to ride towards oncoming traffic. It’s always best to stay on the side of the road with traffic coming from behind you, not towards you. Keep a balance between the road and the curb, but stay as far right on the road as possible. Since it is harder to ride on the sidewalk, many prefer the road to the sidewalk, or riding on the sidewalk, may be illegal in some places. Try to avoid cars and the curb as much as possible. If you’re making a left turn, it’s always best to use hand signals, even if there is no traffic around to obstruct you. In certain areas, the roads may be too narrow to allow a cyclist to ride next to a car. Sometimes it’s necessary for the cyclist to join in traffic, and ride behind a car. This can be done safely, especially if you’re in the city, where speeds are anywhere from 25-45 mph. If you can’t keep up with traffic as best as possible, it may be better to choose another route for your cycling. Safety equipment is also necessary when cycling. Technically, this should be the first rule, but helmets are usually standard with cyclists. Sometimes drivers on the road may not be paying attention, so making eye contact with them, before turning in front of them, or when riding beside them, can actually save your life. If possible, avoid riding through parked cars, as you may not be seen, and can possibly be hit by a car pulling in or out; that does not see you. 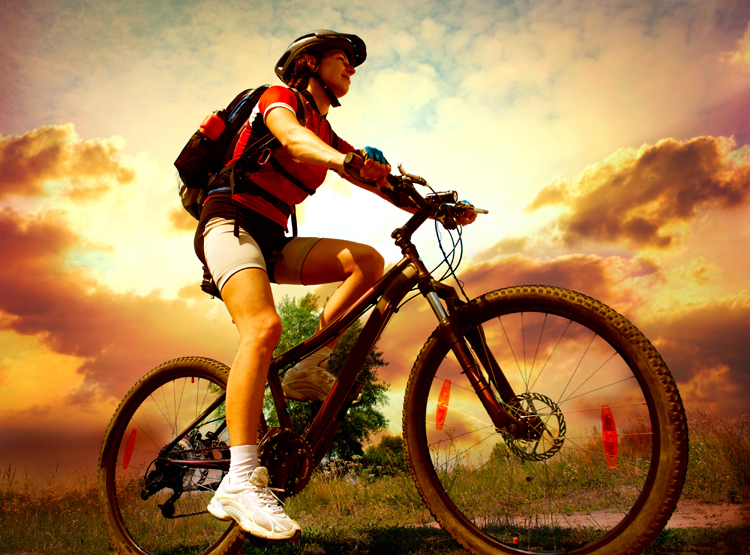 Make sure that your bicycle is in the best shape, including having working brakes and well-inflated tires. By following these rules while cycling, you can assure your safety.